As you will read elsewhere in this Bulletin, there has been quite a lot going on at the CAP office of late. We are of course gearing up for the Congress to be held at Queen’s University between the 29 May and the 2 June 2017, the 2017 CAP Lecture Tour is in full swing, and the Lloyd G. Elliot University Prize Exam was written by undergraduate students across Canada on 2017 February 7th; results should be available soon. Perhaps the most exciting set of developments are in the implementation of our communications strategic plan. Most notably, a wholly revamped web site will be unveiled within the next few weeks. There is an update on some of the much needed foundational communications work later in the Bulletin; keep an eye out for further updates regarding our pending website launch. Since our last Bulletin, we have had staff changes. Now that the CAP’s IT support needs have outgrown the capability of programmers, Chris Brûlé’s position as webmaster/programmer has been outsourced to an IT firm. We thank Chris for his support during his tenure with us and wish him well as he progresses in his career. In December 2016, Danielle Legault left the CAP office after four years of excellent service to the Association, to join the Federal Government. Many thanks, Danielle, and best of luck to you! We welcome both Éloïse Boileau, who joined us in Sept. 2016 as our new Program Manager, and Polina Tarasenko, who has recently joined us as our new Communications Coordinator. 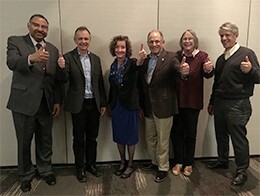 I attended an American Physical Society meeting in November (photo on left), where I gave a presentation on the latest developments at the CAP and took part in discussions on issues of relevance to the APS. Since that meeting was held only a few days after the US election, it is not difficult to imagine what one lively subject of discussion was! In December, Roy Sambles, President of the Institute of Physics (our British counterpart) met with Francine and myself at the CAP office (photo on right). We had a very fruitful exchange of ideas. Strengthening our relationships with those two organizations, and indeed with sister societies in Canada and around the world, can only be beneficial to all involved. Starting on March 15, the CAP will be accepting post-deadline abstracts for the 2017 Congress at Queen’s University, Kingston (May 28 to June 1). Post-deadline abstracts will be considered on a first-come, first-considered basis so we encourage you to submit your abstract as early as possible to increase your chances of being accepted into the program. A list of any open oral slots as well as the number of available poster slots was posted to the abstract website on March 15th. The 2017 CAP Congress Indico Abstract Management System can be found at http://indico.cern.ch/e/CAP2017. Registration for the CAP 2017 Congress to be held at Queen’s University, in Kingston from 29 May to 1 June 2017, opens on Saturday, April 1. There are significant savings for members and those who register and pay by midnight (EDT) April 30th. Membership has its benefits! For full members, the registration rate for the entire conference is $200 less than the rate for non-members. If you register by April 30th, there is a further savings of $50 from the regular registration rates, bringing the full member registration rate to only $385. Student rates are highly discounted and have not increased from last year. Discounted rates are also available for early career, HS/Cegep teachers, and retired members. See http://www.cap.ca/congress-conference/past-congress/congress-2017/registration-fees/ for a complete list of registration fees. For those attendees who are unable to stay for the entire Congress, one-day conference registration is available. For members, these rates have also not changed since last year — the early registration one-day rate for members and invited speakers is $225; member graduate students pay $125, and undergraduate students pay $75. There is still time for your non-member colleagues to sign-up for membership and obtain the maximum discount on their Congress registration fee. As it can take up to 10 business days to process and activate a membership, new and renewing member applications MUST be received by the CAP office no later than 11:59 PM (EDT) Sunday, April 16, 2017 if they wish to register before April 30th for the early fee. Membership forms are available at http://www.cap.ca/membership/fees-and-forms/. Please start to make your plans to attend this year’s CAP Congress. It will include a public lecture by Art McDonald who shared the 2015 Nobel Prize in Physics, numerous interesting plenary sessions and medal talks, the ability to socialise with colleagues from across the country at the welcome BBQ and several evenings during the week, and the opportunity for students and faculty to present and hear about exciting work in their field. Let’s make CAP 2017 at Queen’s a Congress to remember. We’re speaking up for you! Over the next few months, members of the CAP Board are scheduling meetings with over 30 Members of Parliament, including MPs affiliated with the Liberals, Conservatives, NDP, and Bloc Québecois. Topics of discussion will include federal budget initiatives, impacts of the recent Innovation Agenda and Review of Fundamental Science, and promoting public science engagement. These meetings were initiated by the CAP through our annual letter writing campaign to all sitting MPs. 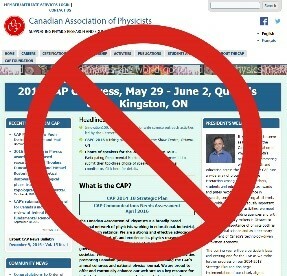 We invite them to engage with us to help advance the visibility of physics in Canada, offering meetings in Ottawa, at their local constituency offices, or at the laboratories and institutions of CAP members. 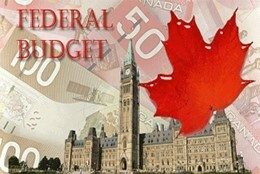 The 2017 Federal Budget will be tabled on Wednesday March 22nd at 4 p.m. by Finance Minister Bill Morneau. By the end of next week, the CAP will update members on the highlights of the 2017 Federal Budget of interest to our community. Would you like to know more about the CAP’s role in shaping science policy? Are you interested in getting involved? In either case, please feel free to get in touch with our Director of Science Policy, Kris Poduska (kris@mun.ca). The CAM Conference is a joint meeting of the Canadian, American and Mexican Physical Societies which is held every second year, cycling between locations in Mexico, the United States, and Canada, with Canada hosting the CAM conference every sixth year (click here for a history of locations/attendance). The conference focuses on the research done by graduate students. Plenary contributions from established scientists will also give the student participants exposure to ongoing research in diverse sub-fields. Students share the results of their research with senior scientists and international peers in their own field, as well as with those focused on other disciplines within physics. The aim of the CAM Conference is to provide an outstanding opportunity for students to develop professional skills, learn a broad range of physics topics, and initiate interactions across geographical borders. Furthermore, it will foster communication and exchange of ideas among students of various backgrounds and interests. The 2017 CAM conference will be held from August 17-19 in Washington, DC, USA. The APS is responsible for organizing this conference. The CAP’s representative on the organizing committee is the CAP’s Councillor representing graduate student members, Christopher Pugh from the University of Waterloo (cpugh@uwaterloo.ca). This is a wonderful opportunity for students to present their research to other students and to build relationships with researchers around North America. As part of the abstract submission process, a letter of support from the student’s supervisor stating that they support the student’s presentation at this conference as well as agree to help cover the costs of the student’s attendance is required. The Canadian coordinating team is currently working on securing some funding to help offset the costs to each graduate student who attends. Students must be CAP members and have an accepted abstract to be eligible. Abstract (maximum of 1500 characters, uploaded in PDF format, example can be found on website). Letter of Support from your supervisor (this letter should state that your supervisor will cover costs of the conference including travel, registration etc. as well that they support your presentation. No abstract will be accepted without this letter. Not to exceed one page). Submit to: https://www.aps.org/units/fgsa/meetings/cam.cfm and select “Canada Application.” Revised deadline for submission of abstracts is 2017 May 20. Students from Mexican, U.S., and Canadian “institutions” can attend without a focus or requirement of citizenship or residency. Visit https://www.aps.org/programs/international/visa/visitors.cfm for useful information about Visas ofr travellers visiting the U.S.. Some travel subsidies will be available via a grant from the CAP Foundation. An application form will be provided to any Canadian student who is a CAP member and has an accepted abstract for CAM2017. Once the abstract submission deadline has closed, all abstracts which included the letter of support from the supervisor will be reviewed. The final acceptance letters will be issued in late May. Registration will start after this process is complete. As the first step in establishing the foundation for our ongoing strategic communication plan, the CAP is undergoing a rebranding effort to bring a new, exciting face to the organization. The first step in the rebranding initiative was to establish a new look/feel for the organization by standardizing on fonts, colour palette, and a graphic look, as well as introducing Facebook, Twitter, and Linked In icons on our materials to highlight our presence on social media. The CAP office staff’s e-mail communications all carry a new standardized signature block that reflects the CAP’s news style standard font, header and colour palette choices. The rebranding effort is nearing completion, and will culminate in the launch of a new website in the next few weeks. Stay tuned for more updates during the next few weeks and, in particular, the launch of the CAP’s new website. Professionally Speaking… As discussed in our last column, work on the Continuing Professional Development (CPD) program for P.Phys. holders has been progressing. Review of the proposal by current P.Phys holders is complete and many useful comments were received. This has resulted in a greatly improved document, which will be brought to the Spring CAP Board meeting for endorsement. A copy of the current version of the proposed CPD can be downloaded here. In parallel, we are developing a simple CPD reporting tool that will be part of the CAP website – more on this to come. On the professional practice front, there have been changes to the Ontario Environmental Protection Act which appear to place new limitations on the practice of natural scientists (including physicists) as it relates to Part II.2 of the Act, “Activities Requiring Assessment of Air Emissions”. CAP is following up on this issue. Michael K. O’Neil, M.Sc., P.Phys., P.Eng. The first issue of 2017 (Volume 73, No. 1) is on the presses now. Look for your copy of our Remote Sensing of the Atmosphere mini-theme issue to arrive in the mail in the next few weeks.